Kick off the 75th annual Magic City Classic at this year’s Taste of Soul! The Taste of Soul is a culinary and music festival including a combination of Birmingham’s best food and hottest live entertainment. The Magic City Classic is the largest HBCU classic in the nation. The second annual Taste of Soul Birmingham will kick off a week of events guaranteed to satisfy your hunger for social stimulation. Enjoy your favorite food vendors and soul artists. Buy a ticket to the Taste of Soul and benefit the Birmingham Urban League’s UpLift program to support urban youth. Upgrade to VIP and enjoy reserved seating and drink tickets. Grammy award winning artist, Monica, will be our headliner so you don’t want to miss it! 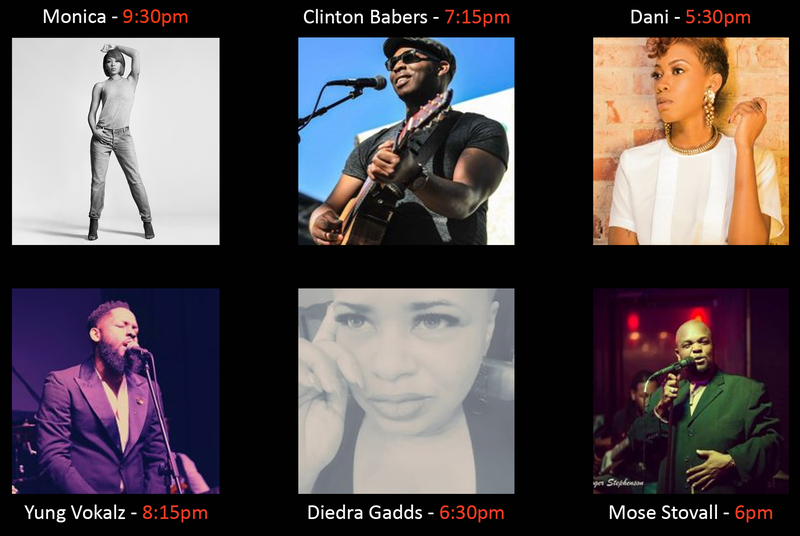 Performers include (in order): Dani, Mose Stovall, Diedra Gadds, Clinton Babers, Yung Vokalz, Monica. Building on the success of the 2015 Taste of Soul, a culinary and music festival, the Magic City Expo will provide national entertainment and inspiration to engage and empower the Birmingham community. Both events will highlight and support local food vendors and artists and raise funds for the 2016 Birmingham UpLift initiative. This ticket is for general admission entry. No outside food or drink. No chairs or recording devices. This is an outdoor festival. No Refunds or Exchanges. This ticket is for VIP entry. Reserved seating for at sound stage. Entry into Taste Tent, and Special VIP bar. No outside food or drink. No chairs or recording devices. This is an outdoor festival. No Refunds or Exchanges. This ticket is for VIP entry. Unlimited Entry to Taste Tent, Premier Reserved Seating for in front of sound stage, and Complimentary Beverages. No outside food or drink. No chairs or recording devices. This is an outdoor festival. No Refunds or Exchanges. Stop by Long-Lewis and find the right car to get you to this great event!